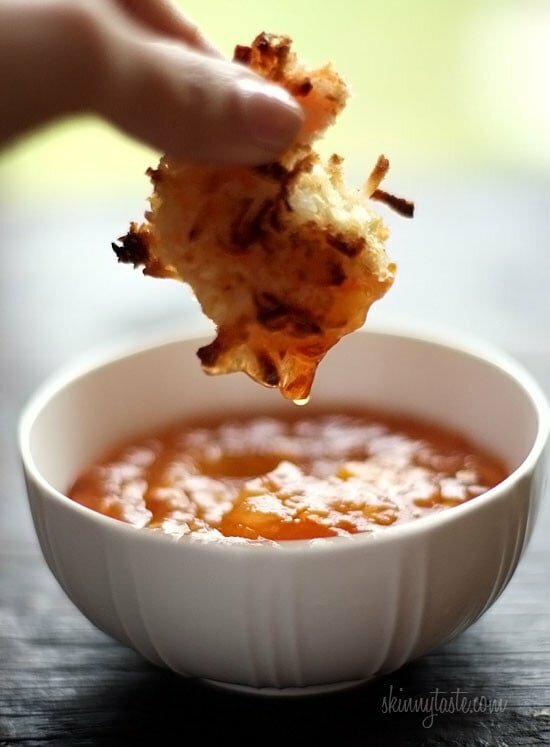 These Easy Baked Coconut Shrimp are crisp, golden and delicious served a sweet and spicy apricot dipping sauce. Set these out on a platter in front of some hungry guests and I guarantee they will disappear!! 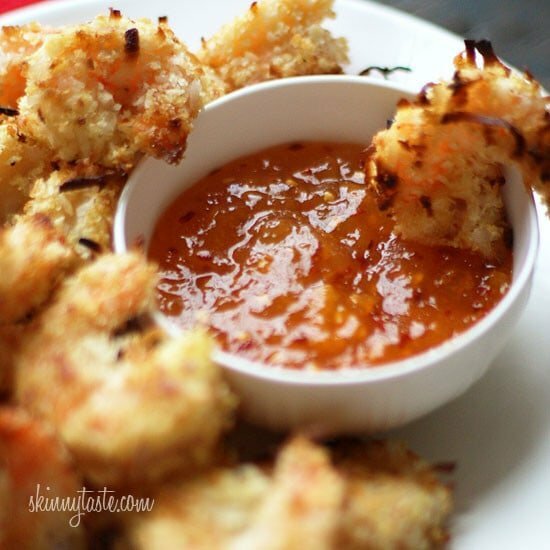 These Easy Baked or Air Fryer Coconut Shrimp are crisp, golden and delicious served a sweet and spicy apricot dipping sauce. Set these out on a platter in front of some hungry guests and I guarantee they will disappear!! “The best coconut shrimp I ever had” to quote my husband, that’s how good these are, and he didn’t even touch the dipping sauce! These shrimp are perfect for the Holidays, Superbowl or anytime you need an tasty appetizer. 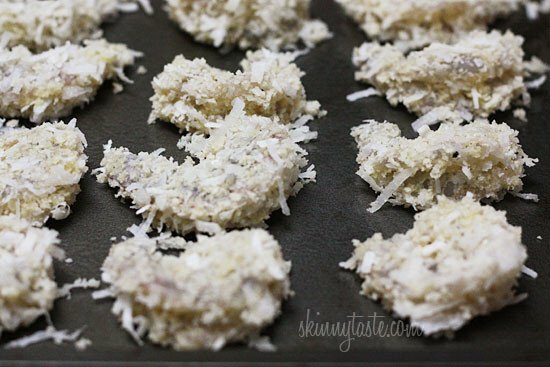 This baked coconut shrimp is healthier than fried, and super easy to make. 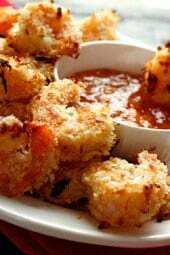 The shrimp is crisp and crunchy on the outside and tender on the inside thanks to the mixture of panko breadcrumbs and shredded coconut which I used to coat the shrimp. Lay them on a baking sheet and spritz them with oil. I tried these using all egg whites but the crumbs stuck better with a whole egg, as for the flour, you will only use about 1 tablespoon worth so that is what I calculated. You can use gluten-free panko to make them gluten-free. If you try them, let me know what you think! Preheat oven to 425°F. Spray a non-stick baking sheet with cooking spray. Combine coconut flakes, panko crumbs and salt in a bowl. Place the flour on a small dish. Whisk egg in another bowl. Lay shrimp on the cookie sheet then spray the top of the shrimp with more cooking spray; bake in the middle rack for about 10 minutes. Turn shrimp over then cook another 6-7 minutes or until cooked though. Remove from oven and serve with dipping sauce. Preheat air fryer to 375°F. Spray a non-stick baking sheet with cooking spray. Lay shrimp on the cookie sheet then spray both sides of the shrimp with more cooking spray. Spray the air fryer basket and cook the shrimp, in 2 batches, 4 minutes on one side, turn cook 2 minutes (6 min total). Repeat with the remaining shrimp. Serve with dipping sauce.